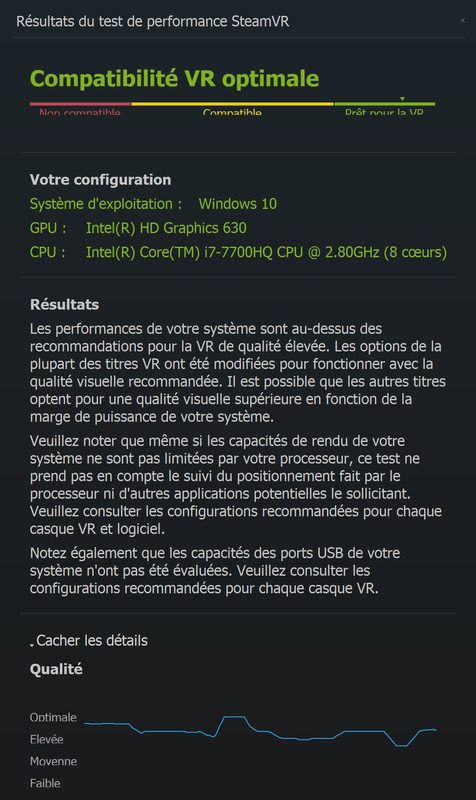 VR Ready Laptop, the test of the PNY PrevailPro P4000. PNY’s latest PrevailPro product range complements the available high-end and powerful professional laptops currently available, especially the P4000 VR Ready that you’ll find on the Corner Shop and that we put in the hands of a selection of our technicians and experts. The PrevailPro P4000 is a powerful machine with an NVIDIA Quadro P4000 graphics card (hence the name), a 15.6-inch 4K Ultra High Definition display and an Intel Core i7 processor, thus providing a VR Ready machine that we were eager to try. Designed to be both powerful, thin and light, it has a weight of 2.18kg. The weight effectively felt is consistent with this statement and quite standard for the high-end product range. It may be used both as a desktop computer and a Virtual Reality demo tool to take with you to customers, trade shows or to share information with partners. All of our experts share this analysis and are also attracted by the PrevailPro’s design. Our software development manager finds it for example “well designed and good looking with a sturdy build”. Regarding the laptop’s power, Immersion’s experts tested the machine’s capacity in different conditions. 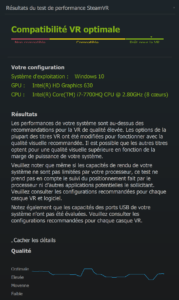 Software, including those that require a lot of power, run smoothly and display 100 FPS. 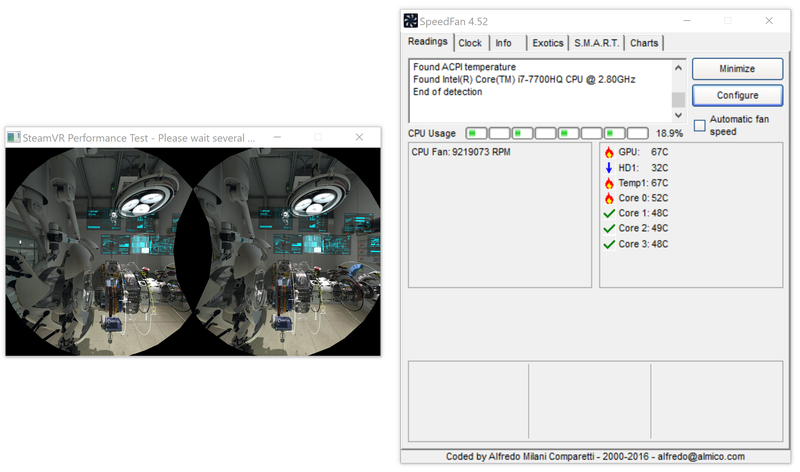 However, the machine heats up quickly and the GPU reaches 74°C (measured with SpeedFan v4.52) in the first few minutes of use, while part of the fan blows directly on the power cable. Although not altering or affecting the experience, this is something to consider. The good news is that it cools quickly, within 40 seconds the temperature goes down to 56°C and drops below 50°C a minute later. 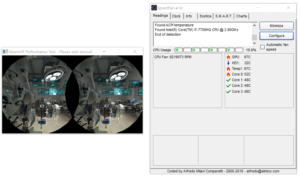 Virtual Reality wise, our team submitted the computer to the SteamVR performance test (below) and then tried it out with a Windows Mixed Reality headset, also tested by our teams. The results are similar: the computer runs well, a more relative temperature rise (up to at 70°C) is noted, but the smoothness of the experience is a clear pass. 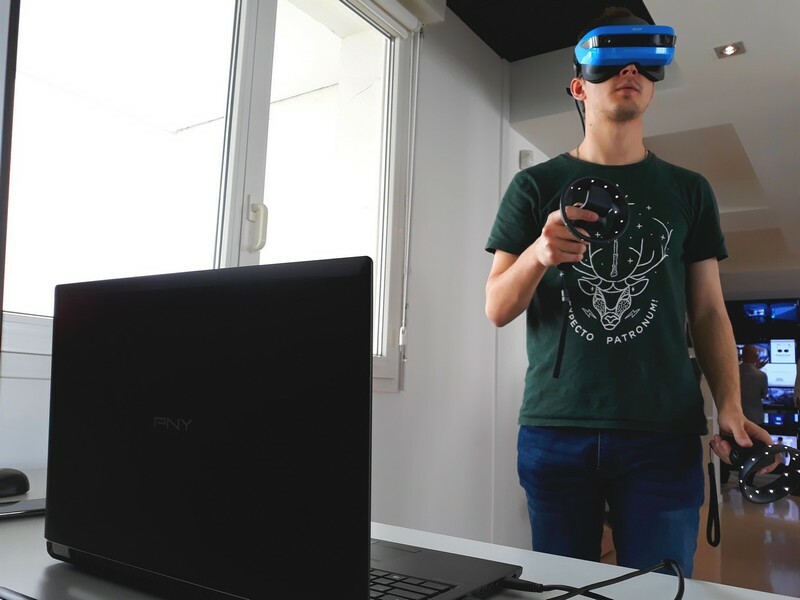 One of our HoloLens developers immersed in a PrevailPro P4000 with a Windows Mixed Reality headset. A little more expensive than its competitors, as it can be compared with the ZBook of HP whose screen is larger but less qualitative (Full HD against UHD for the Prevail Pro), and the WT72 6QL MSI that also has a larger screen but with a less optimal size/weight ratio (3.78kg). The PrevailPro professional laptop range is available on our e-commerce website, ‘corner shop‘ by Immersion as well as the Windows Mixed Reality headsets used for the test.